As an entrepreneur, you know that there’s often a lot of pressure to prove your company’s viability. Turning a profit isn’t guaranteed, and there are plenty of variables that can put pressure on small businesses (SBs). With that in mind, it’s no wonder the idea of the triple bottom line (TBL) can seem like a concept only large and successful enterprises can afford to pay attention to. But it shouldn’t be. In today’s market, committing to the TBL can actually be to your advantage, not only as ethical consumerism increasingly becomes the rule rather than the exception, but also as new technologies become available that allow you to reduce your operating costs while shrinking your environmental footprint. So why should entrepreneurs aim to prove positive results on three fronts instead of just one? It’s because there’s more to running a business than financial returns; a myopic focus on revenue overlooks social and environmental responsibility. These are the three pillars of the TBL: people, planet and profits. Calculating profits only shows the money your company brings in; the TBL also tallies your impact on ecosystems and the quality of life in communities where your company operates. It’s a more holistic framework for showing the true cost of doing business in the modern world. The concept was created by John Elkington in 1994, a leading expert on corporate responsibility and sustainable development and co-founder of SustainAbility. His goal was to motivate a change in the way we produce and consume goods, which would actively curtail unsustainable growth. Unfortunately, that’s not always what ends up happening; instead, many companies set easily-achievable TBL targets that produce some great-looking balance sheets without making much of a difference to the well-being of the global community. “Whereas CEOs, CFOs, and other corporate leaders move heaven and earth to ensure that they hit their profit targets, the same is very rarely true for their people and planet targets,” wrote Elkington in a recent article for HBR. But companies of every size can make a meaningful difference if they’re willing to commit to the TBL. According to Cox Conserves, which surveys small and medium businesses on their sustainability initiatives every two years, 88% are enacting a company- or employee-based sustainability program; in 2015, that number was 62%. Smaller organizations are showing their larger counterparts how it’s done, and they’re taking advantage of tech to do it. There are many ways that businesses can leverage technology to make sure they meet their TBL targets, but I’d like to highlight three here. By migrating their data to the cloud and offering more of their products and services online, companies are helping reduce the physical resources they consume and the waste they produce. This is part of the larger process of virtualization, in which things that were once tangible—for instance, data storage and network hardware—become digital. The benefits of this digital shift extend far beyond environmental stewardship: by reducing the need for expensive on-premises equipment, and providing increased system flexibility, virtualization can greatly improve a company’s return on investment. It also enables businesses to deliver their products and services much more efficiently to those who need them, which means that companies can pursue all three pillars at the same time: people, planet and profit. Of course, there have been concerns that the electricity consumption of high-capacity data centers used for cloud storage offsets their environmental benefits. However, more and more hybrid-cloud providers have been making huge strides in designing more efficient systems. At Dell, we’ve pledged to cut down the average energy intensity of our entire product portfolio by 80% between 2012 and 2020, and we’ve built this pledge directly into our technology. By making informed choices when buying everything from laptops to lightbulbs, companies can reduce their impact on the environment. Just as we’re aiming to reduce the energy needs of our hybrid-storage solutions, Dell is also reducing the energy needs of our products with every new generation. In addition, we offer a set of innovative tools and calculators that encourage our clients to track their energy consumption and shrink their own carbon footprint. We’re not the only company doing this, either—a lot of organizations are helping their customers leave a smaller environmental footprint. For those committed to the TBL, there’s no shortage of solutions. Just consider motion-activated lights, water-efficient toilets and energy-efficient kitchen appliances. A lot of today’s products also have other capabilities that have been added for the purpose of tracking and measuring impact. We’re seeing this more and more when it comes to the Internet of Things (IoT): smart meters can now connect to apps that let companies monitor their water or electricity consumption, for example. New technology is allowing companies to move goods far more efficiently than ever before. UPS famously uses software to generate sophisticated routes that prevent delivery vehicles from having to turn across oncoming traffic, thereby saving millions of gallons of fuel. But with everything from GPS tracking to data analytics, today’s companies are also going further to ensure socially and environmentally responsible supply networks. Blockchain in particular offers exciting new opportunities for companies to better track the manufacture and movement of products across the globe. Diamond producer De Beers, for example, is using blockchain to verify that diamonds in its network isn’t coming from conflict zones. These technologies are all great for business, because a growing number of consumers are demanding radical transparency—they want to know where their products are coming from, and how they’re being made. This is especially true of millennials, who are often willing to pay more if it means having a more ethical product. As an entrepreneur, you can meet this demand by holding yourself accountable to your customers, choosing suppliers that you have confidence in and ensuring that your supply chain data is open to public scrutiny. Think of successful and transparent enterprises such as Everlane, an ethical clothing line that posts their pricing structure with each garment. As the millennial generation makes — and inherits — more money, the interest in ethical consumerism will only increase. SBs and new entrepreneurs need to take advantage of this trend, and I know firsthand that they can and do. For tomorrow’s leaders, building a sustainable business means more than simply focusing on profits. Erik Day has been at Dell (now Dell Technologies) for 19 years. During this tenure, Erik has held multiple sales, merchandising, operations and marketing leadership roles both domestically and internationally. As Vice President of Small Business, Erik’s goal is to advocate for small business across the US and Canada, and ensure they are receiving the IT necessary to help their businesses grow and thrive. He believes that Small Business is the growth engine of the global economy and that technology will help them achieve their goals. 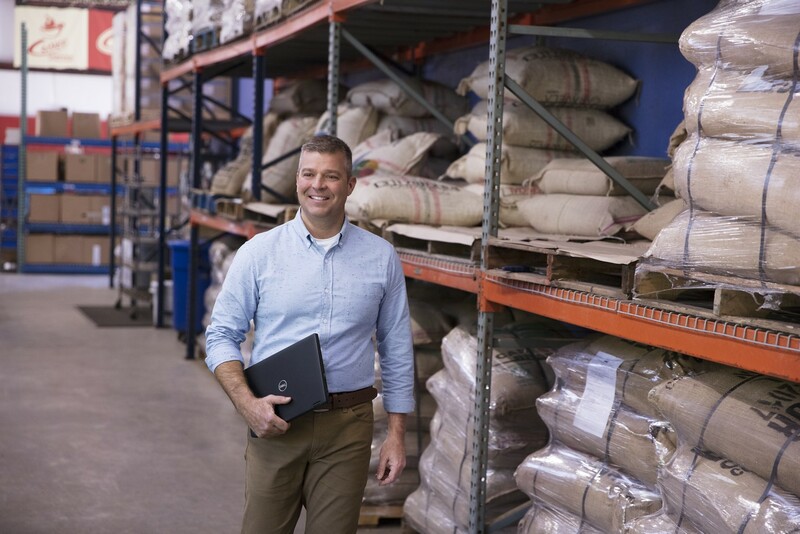 To ensure this happens, Erik developed Dell’s new Small Business Advisor marketing campaign that focuses on how Dell can be a virtual IT advisor for your small business. In May 2018, Erik graduated with his Masters of Business Administration from Southern Methodist University in Dallas, TX where he also received his Bachelors in 1998. This June, Erik was awarded Poet and Quant’s 100 Global Best and Brightest EMBAs of 2018. Erik is an avid tennis player, Peloton Rider and overall sports fan. He is heavily involved in advocating for workplace equality globally for Gay, Lesbian, Bi-sexual and Transgendered employees of all sized corporations. He is the Global Executive Chair of the Pride (LGBTAQ) Employee Resource Group at Dell Technologies and is on the Board of Directors for Out & Equal Workplace Advocates. He loves spending time at home in Austin or on Lake Michigan with his husband Craig and their two Samoyeds, Chester and Chase.